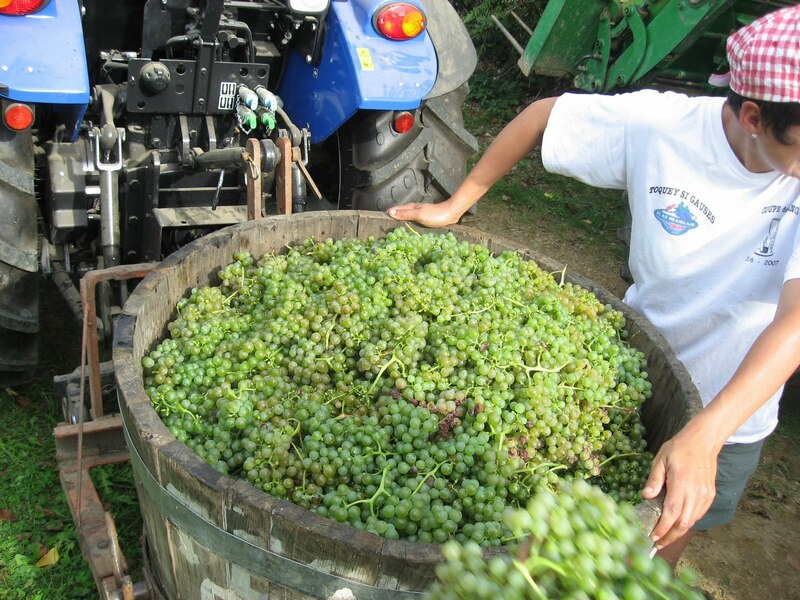 Gilles took part in his second vendanges (grape harvest) yesterday. 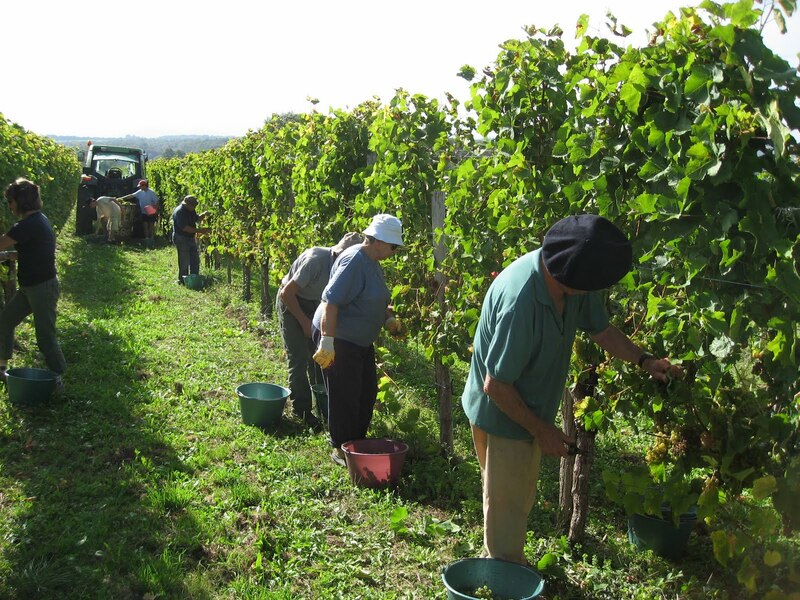 It was the first pick of the grapes that go into making the dry Jurancon wine from our region. In a few weeks they will pick the grapes for the sweet Jurancon. 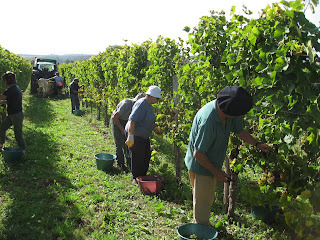 After the picking was done, the group gathered for a snack and some wine. 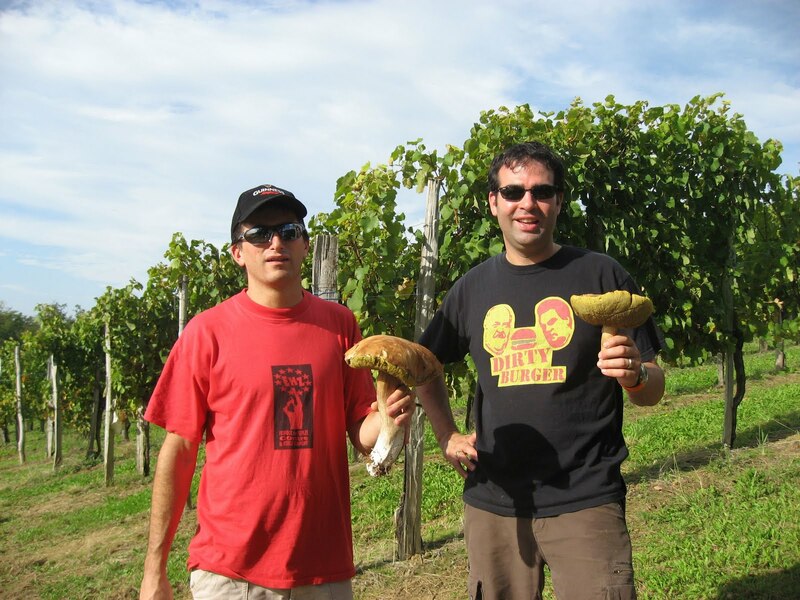 Gilles and one of the vineyard owners decided to skip out on the food and wine, and go foraging in the adjacent forest for cepes. First, a little background on cepes. The Fall is mushroom season, and the French love to go foraging for mushrooms in their free time. The king of all mushrooms is the cepe. You are likely more familiar with the Italian variety called porcini, which are essentially the same thing, although would be a bit different because of terroir. Cepes do not travel well, and must be eaten soon after picked. They are not successfully cultivated, so must be found in the wild. Once the season begins, some people take holidays to go on a cepe hunt, selling their finds to restauranteurs and shops. Cepes are very expensive, and a fruitful forager stands to make a lot of money. 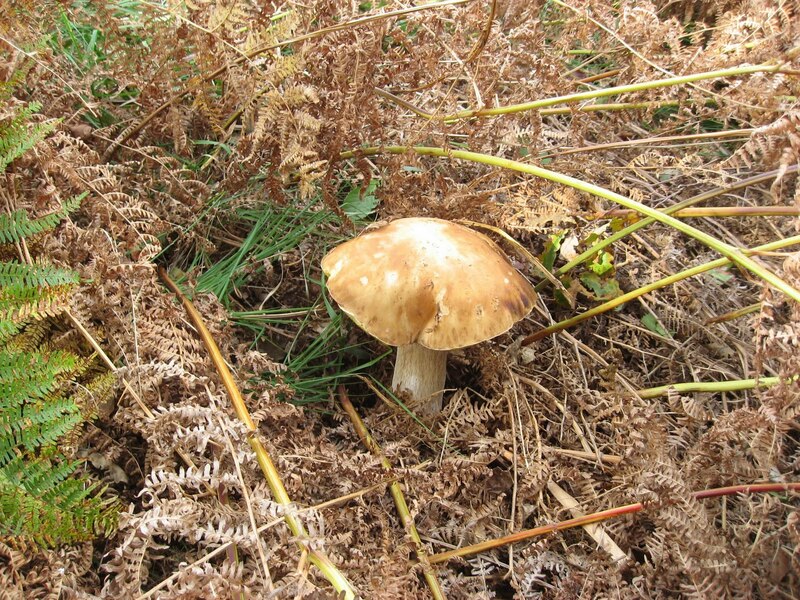 Cepes are found under acorn, chestnut, and beech trees. Apparently, the cepes found under beech trees have an even superior flavour an already sumptious fungus. Our region is well-known for cepes, and the most popular French way of eating them is cepes a la bordelaise (cepes made in the way from Bordeaux): simply sauteed in oil with garlic and parsley added at the end. 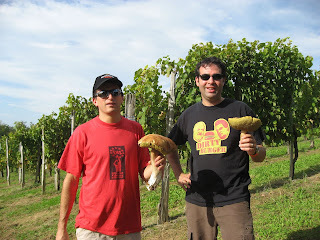 As you can see from the photos, Gilles and his co-forager were successful, each finding one cepe. When they returned to the group, everyone was shocked at their find, and started cheering. Several of the men instantly dropped their drinks, and headed out on their own search. Gilles was ecstatic-he wanted to call everyone that would appreciate his find, and share the news with them. Gilles returned home with both of the large cepes, and now we have to figure out what to go with them. I am not concerned about the cooking, but the cleaning. They have bugs crawling in and out of their caps, and the spongy underside is a little intimidating with pieces of leaves and branches sticking out of it. But the collective enthusiasm of a nation of millions tells me it must be worth it. We shall see tonight.